This July, Creative Minds Productions bring the Broadway hit Sister Act the Musical to The White Memorial Theatre. Sister Act is the feel-good musical comedy smash based on the hit 1992 film that has audiences jumping to their feet, featuring original music by Tony- and eight-time Oscar winner, Alan Menken. When disco diva, Deloris Van Cartier (Rachel Brown), witnesses a murder, she is put in protective custody in the one place the cops are sure she won't be a found: a convent! 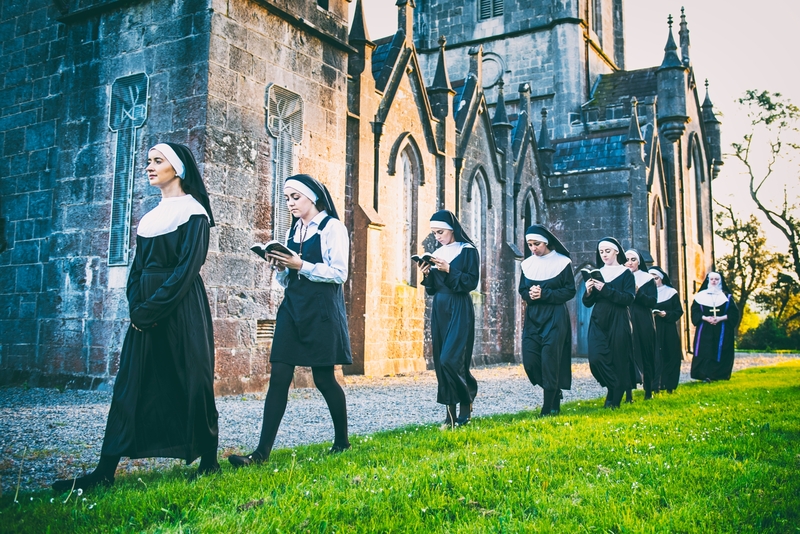 Disguised as a nun, she finds herself at odds with both the rigid lifestyle and uptight Mother Superior (Mary Condon O’ Connor). Using her unique disco moves and singing talent to inspire the choir, Deloris breathes new life into the church and community but, in doing so, blows her cover. Soon, the gang is giving chase, only to find themselves up against Deloris and the power of her newly found sisterhood. This will be Creative Minds’ third musical under the production team of Jennifer Williams (director), Eamon O’ Malley (musical director) and Henry Fitzgerald (choreographer). With members of the cast and production team having roots in AIMS award winning societies, this show promises wonderful things! Sister Act runs from 23rd of July to 27th July 2018. Tickets will be on sale in The White Memorial Theatre from July 10th at a price of €15.